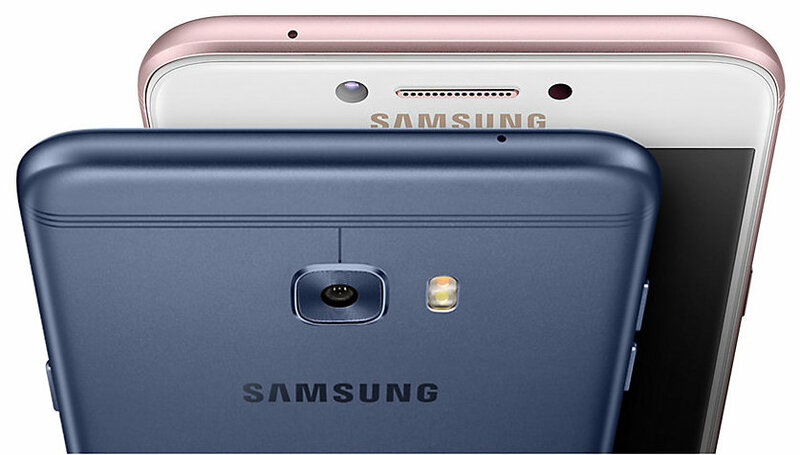 Today, Samsung has launched the Galaxy C7 Pro in India which was announced in China earlier this year. The C7 Pro features a full metal unibody design, an Always-on display, Samsung Pay support, and is pretty slim at just 7mm. The phone sports a front-ported Fingerprint scanner which is integrated along with the home button. 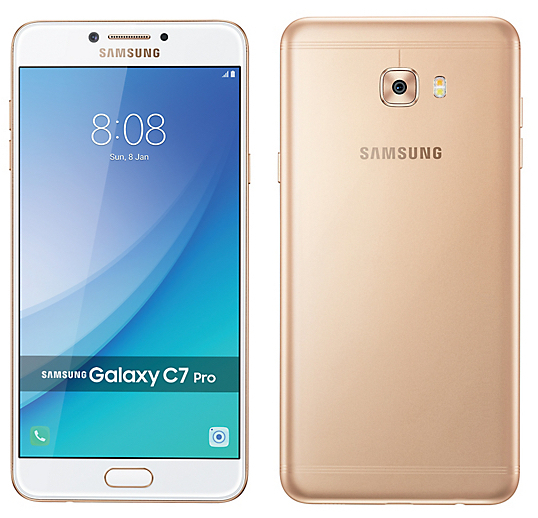 Packing a Super AMOLED display, the Galaxy C7 Pro should be a delight for users who love playing games and enjoy multimedia content. The Galaxy C7 Pro comes with a 5.7-inch Full HD Super AMOLED display at 386ppi with 2.5D curved glass and Gorilla Glass 4 protection. Under the hood, it’s powered by an Octa-core Snapdragon 626 processor clocked at 2.2GHz with Adreno 506 GPU and runs on Android 6.0.1 Marshmallow with TouchWiz UI. There is 4GB of RAM on board and 64GB of internal storage that is expandable up to 256GB via microSD card. In terms of optics, there is a 16MP primary camera with f/1.9 aperture, PDAF and dual LED flash. The front camera is also a 16MP shooter with f/1.9 aperture and modes like auto-flash and beautification. The connectivity options include 4G with VoLTE, ANT+, dual-band Wi-Fi 802.11 a/b/g/n/ac, Bluetooth 4.2, GPS, FM Radio and Dual SIM support via Hybrid SIM tray (nano + nano or microSD). It comes with a USB Type-C interface for charging and supports NFC as well. The device is rich in sensor department with sensors like Accelerometer, Fingerprint sensor, Gyroscope, Geomagnetic, Proximity, and RGB Light sensor. Powering the C7 Pro is a 3300mAh non-removable battery that supports fast charging. The Samsung Galaxy C7 Pro is priced in India at Rs. 27,990 and will be available exclusively on Amazon.in starting 11th of April. The device comes in Gold and Navy Blue colour options.